Contact Us to Get Cash for Your Junk Car! 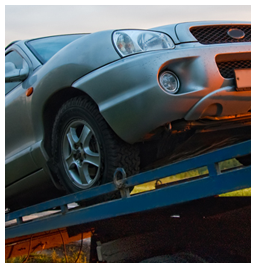 Orlando's Junk Car Removal for Instant Cash Today! We Luv Junk Cars proudly have been in the Cash for Junk Car Removal Business Industry to provide a prompt, Professional Service to their customers! We specialize in buying Junk Cars, Trucks, Vans, Suvs.. All Years, Makes and Models in any condition. Providing the Highest CASH paid on the spot. We offer Guaranteed Pricing, Free Towing & Fast. Pickup with customer satisfaction! Call us Today at 407-512-1032 or Simply fill out our Email Contact form & one of our Auto Salvage Specialist should contact you.. Within the next 24 Hours. We buy old junk cars for cash TODAY All Years, Makes & Models (Foreign & American) in any condition. With Guaranteed pricing, FREE TOWING & Cash paid on the spot. We make selling your old junk car for cash Hassle free, simply provide us with the Year, Make & Model and a small description of what is wrong with your old junk car & within seconds we can quote you with the highest CASH & receive "Junk my Car Removal". Rid your property of junk cars, autos & vehicles with "proven junk my car removal services" from We Luv Junk Cars, conveniently located throughout Central Florida with areawide coverage to better service our customers. Our priority is to be your first choice for junk my car removal for money! Call one of our junk my car removal specialist to receive your highest price possible for your junk my car removal with guaranteed pricing, free towing & Get money, CA$H for junk my car removal today! Test us!.. We are NOT your average Salvage Auto Removal Service. Call 407-512-1032 to schedule a Fast, Free Junk My Car Removal with a Salvage Team Specialist & get your cash TODAY!!! Sell Your Junk Car, Truck, Van or SUV for $$$ Today!